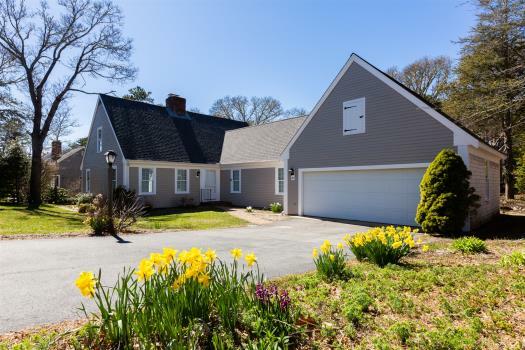 This beautiful Eastham home offers full emersion into Cape Cod nature while being near town, and is a short walking distance to two bay beaches! Starting at the top floor the home offers an open concept living room, dining room, kitchen, and game area. 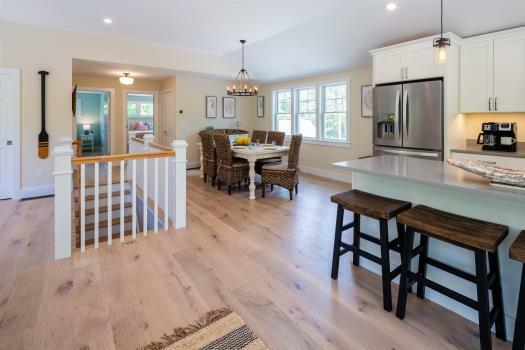 One of the key features of this property is the full wrap-around deck on this upper level. Multiple sliding doors from the kitchen / living areas give you access to this deck. 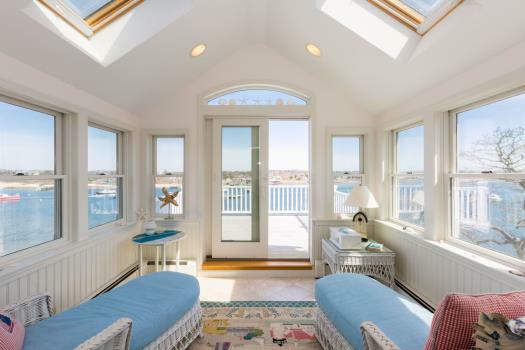 Enjoy beautiful natural lighting with two skylights and many windows on this floor. The second floor the home offers a master bedroom with a queen bed, and a second bedroom with two twin beds. Both have ample closet space and ceiling fans. On this floor, you'll also find a cozy reading area with couches. There are two bathrooms - one full bathroom with a stand up shower and another full bathroom with a tub/shower combo. On the first floor there is a bonus basement area with a futon, full bathroom with stand up shower, and a washer/dryer room. The home is equipped with an outdoor shower and fans throughout. The place was clean and the check in process was easy. The place was just as pictured and expected. The top floor and wrap around deck were a great highlight. 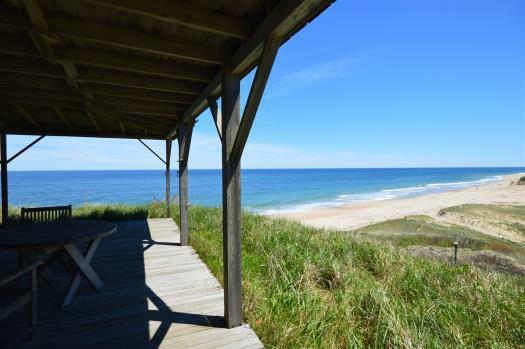 This was the prefect quiet getaway we were looking for on the Cape off-season. We loved the Osprey Nest and had a wonderful stay here. The design of the home is very unique - light-filled, well-furnished, immaculately clean, and very comfortable. With the main living area 3 floors up, you feel like you're in a nest or tree house, up above the trees. The house was very well stocked with everything you could need - especially in the kitchen. 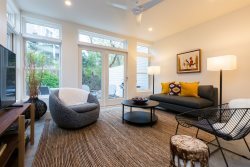 The top floor is very well laid out - with a game area, full equipped kitchen, and extremely comfortable and well-connected living room area. The highlight of the house is the 360 degree deck which runs around the 3rd floor and is where we spent so much of our time. The house is between two beaches and although at times you might wish it were a tad closer, it's still just a short walk or drop-off away. The area is quiet and cozy and close enough to Route 6 to be convienient. We had a great family stay here and will definitely try to rent this house again. Thank you. The property is in a beautiful setting. Staff were friendly during our booking experience and stay. Homeowner was in contact at one point and was also helpful and friendly. 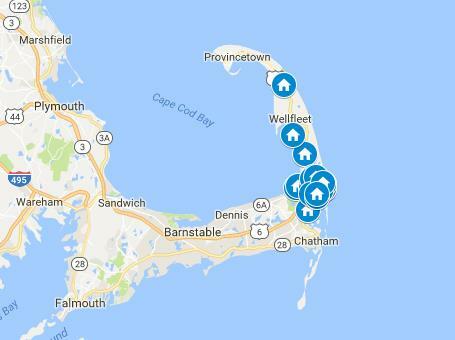 The layout of the home was more than adequate for our family of four and was conveniently located to the beach, as well as Outer & Lower Cape attractions. 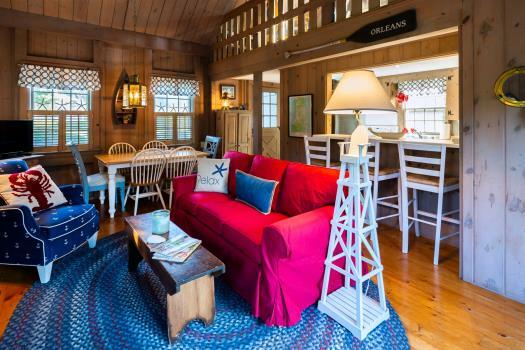 Loaded with all amenities you could need for a comfortable, cottage-y stay.